Chalet of 90 m2 all comfort in the countryside at the edge of a small stream surrounded by a beautiful garden of 15 ares fenced in a small valley very quiet, ideal for this resource, go for a walk in the village on marked trails hiking or visit the beautiful villages of Alsace, Mount Saint Odile 12km, Obernai 2nd tourist town of Alsace 20 km and the wine route of Alsace then Strasbourg or Colmar 40 km. In the winter we have the Champ du Feu ski resort at 1/4 hour, downhill skiing, cross-country skiing, snowshoeing and tobogganing. I would like detailed some supplements / for the firewood / small wood / firelighter 35euro according to seasons 25 euro. See you soon in ALSACE not yet Le Grand Est !!! The chalet is equipped with a high chair and a baby bed and an outdoor play area for children. I propose a meal on order for the Saturday of the arrival, a specialty, the bakery pot with the Alsatian (Baeckaoffa) with entry and dessert on order the day before noon to 20 euro per pers. Die Einrichtung ist rustikal, aber sehr geschmackvoll. Jean-Luc Riegler hat an alles gedacht, war ein freundlicher Ansprechpartner. Der Holzofen ist super, gesammelte Nüsse und Kastanien, auch Flammkuchen usw. werden im integrierten Backofen geröstet. 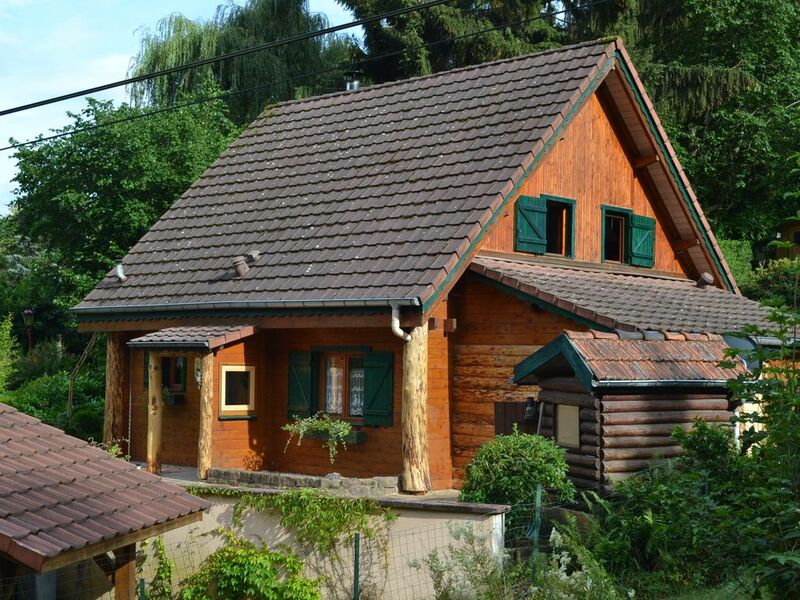 Très bon accueil de Jean-Luc dans ce joli chalet idéalement situé pour des balades dans les Vosges et la découverte des villages de la plaine d'Alsace. Merci aux Bretons pour votre belle appréciation .